The log files in our product record all user operations, special events and error messages while our product is running. So the files are required to analyze some using issues which prevent normal operations from being compeleted. 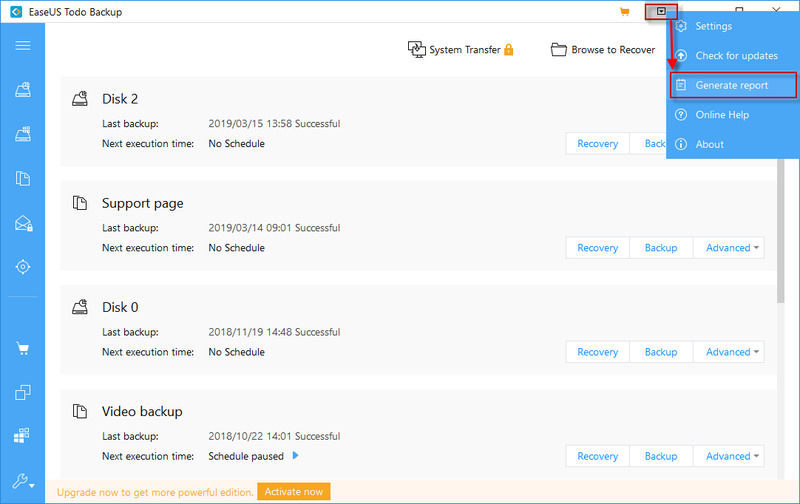 Normally, the log files are located in Bin folder in the installation path of our product. 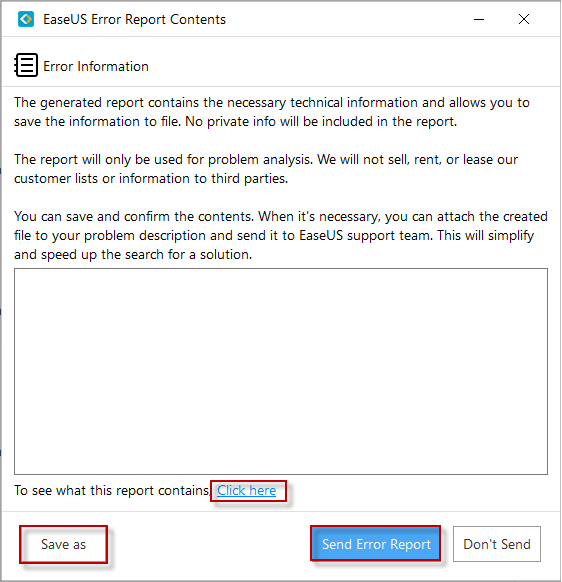 This article tells you how to gather the necessary files into an error report if you need assistance from EaseUS Support Team for a specific using issue. User can directly create an error report with the option Generate report in the drop-down menu which you can get by clicking the question mark icon on upper right corner of home page. In the prompted window, you can click the hyper link ‘Click here’ to check what log files are included in the error report. And send the report with your email client by clicking Send error report or click Save as to place the report to a specified location first if you need to send it later with your web mail. But if you use an old version released before 5.0, you should directly run the file ‘ErrorReport.exe’ in bin folder of the installation path to get the report sending Window. It is better for you to add some screenshots or even a video in the email besides the error report to describe the issue more clearly if this is the first time you send report to support team. 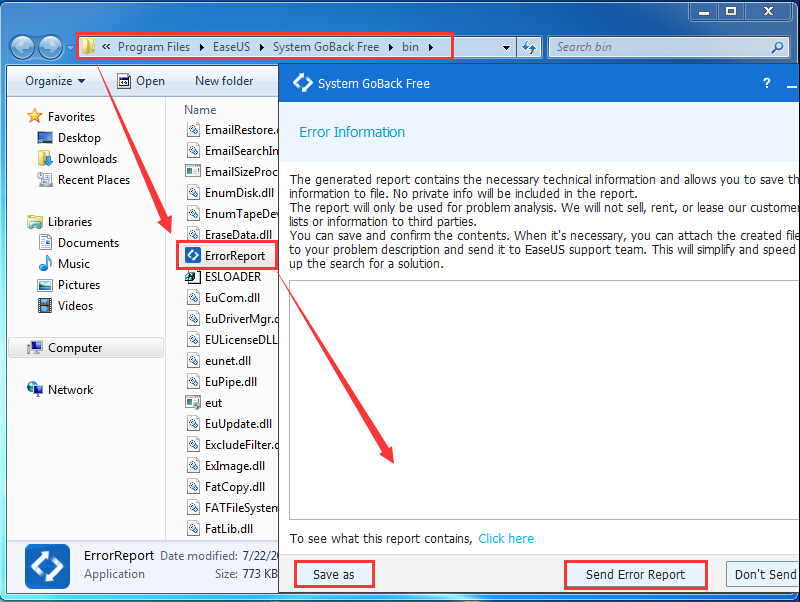 For EaseUS System GoBack users, you could only run the ErrorReport.exe file in bin folder to create an error report.